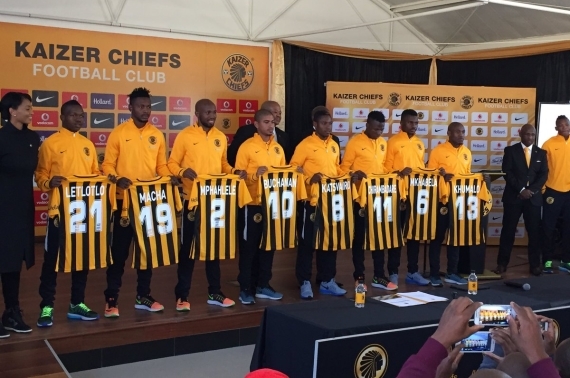 Kaizer Chiefs have announced eight new signings and three technical team changes during a press conference held at Naturena on Monday morning. The press event began with the announcement of the three additions to the technical team. Former Ghana international John Paintsil, who Steve Komphela worked with at his previous club Maritzburg United, was named the new assistant coach, while Brazilians Alexandre Revoredohas and Marco Munhoz have been named as the first team goalkeeping coach and fitness coach respectively. The eight players signed did not come as too much of a surprise with club transfer listing or releasing many of their playing squad at the start of June and speculation has been rife about who would be brought in as replacements. The four main additions were former Mamelodi Sundowns captain Ramahlwe Mphahlele, Bloemfontein Celtic playmaker Keagan Buchanan and Supersport United duo Enocent Mkhabela and Sibusiso Khumalo. The other players unveiled by the club were Zimbabwean pair Michelle Katsvairo and Edmore Chirambadare, who arrive from Chicken Inn, Zambian striker Lewis Macha and academy graduate Emmanuel Letlotlo, who impressed for Chiefs as top scorer of last seasons Multi Choice Diski Challenge. News of the arriving forwards will no doubt soften the blow to the Amakhosi who also revealed that Togolese international striker Cameldine Abraw has been ruled out for nine months due to injury. Chairman Bobby Motaung also mentioned that 'two or three signings' will be announced at a later stage as they're still in negotiations with their representatives.